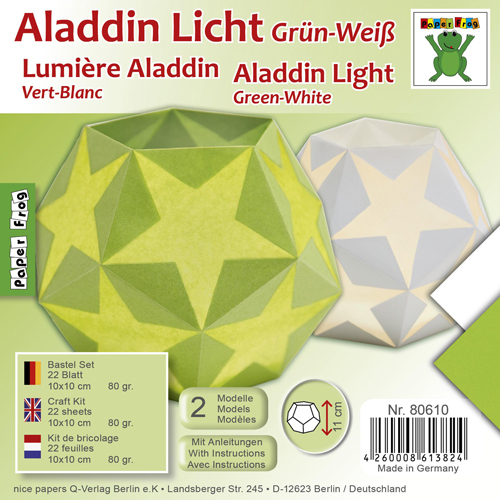 The Aladdin light is almost spherical. A bright star is formed on each individual area of the sphere. These stars are surrounded by color. With a candle or LED light chain inside the stars become a bright light. Using the trend color "Greenery" harmony and freshness comes to your home. Paper is basically flammable. Therefore always put a tea light (candle) in a glass before lighting it up. Transport or move a candle only if it does not burn. A burning candle should always be supervised! Make sure that the candle is out of reach for children and pets.